Tired of oversleeping? If you really want to stop hitting the snooze button, then Kiwake is the best solution for you! This smart alarm is specifically designed to transform you into an early-bird, and it's actually easier than you think. You just didn't have the right tools before. Featured in over 80 countries, including the United States and United Kingdom. 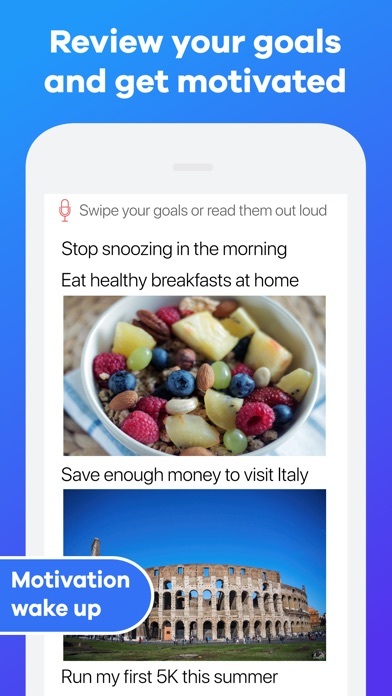 Kiwake has been seen in Buzzfeed, AppAdvice, Bustle, BGR, iPhoneHacks and more. So, are you ready to become a morning bird? Let’s face it: regular alarms don’t work very well. You just hit the snooze button as many times as you could, then rush for the rest of your morning trying not to be late. What you really need is a coach that will help you build a strong morning routine, and that’s exactly what Kiwake is designed for. Kiwake will drive you out of bed whether you want it or not! Like any good coach, it will give you a hard time if you don’t follow the rules, but also respect you when you actually do. The more you stick to your routine, the less annoying it becomes. Kiwake’s mission is to walk you through a brief but complete wake-up process to make sure that you are fully awake. 1. Your Body, by standing up and leaving your bed. 2. Your Brain, by stimulating it and keeping it away from excuses you could find to go back to sleep. 3. Your Motivation, by reading your goals to start your day inspired. ■ Body wake-up: take a picture of an object far from your bed to prove you left it. This is an object that you already saved when you have set the alarm. You could take advantage of this by getting close to the shower or immediately starting your coffee maker. 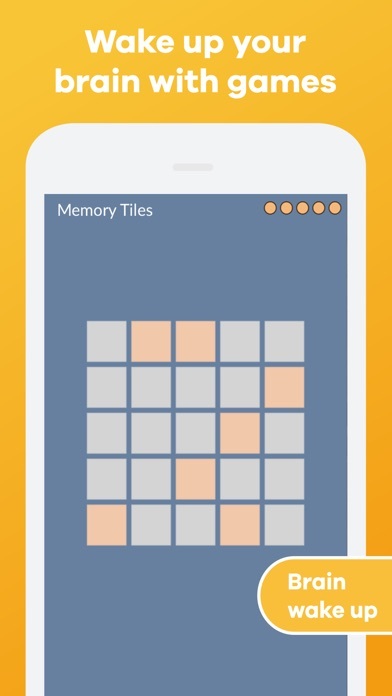 ■ Brain wake-up: complete a quick mini-game that requires your full attention. By focusing on the game, your brain will not be able to manipulate you with those famous excuses to go back to bed. You know, the ones like “Meh… a shower will only take me one minute” or “I can prepare and pack my lunch in 30 sec”. ■ Motivation wake-up: read and check all your main goals, because there is no better way to jumpstart your day than giving yourself a motivation boost! 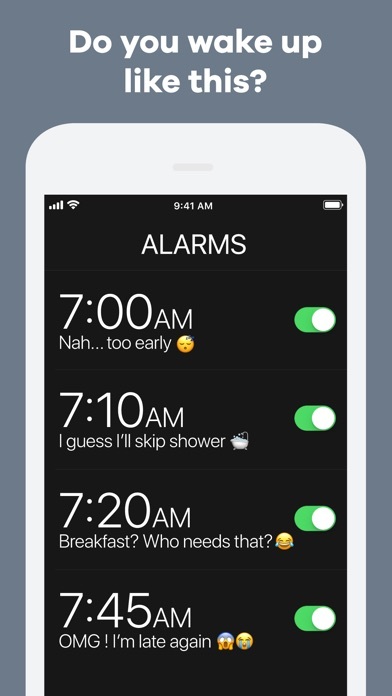 ◦ No snooze button : don't try to find one, there are none and it's better for you. ◦ Intuitive, effective and easy to use interface. 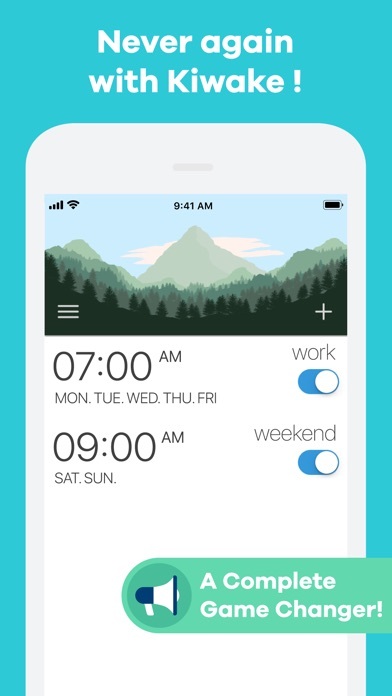 - add multiple alarms, with the possibility to set specific days of the week. - choose between a variety of mini-games, their length and difficulty. 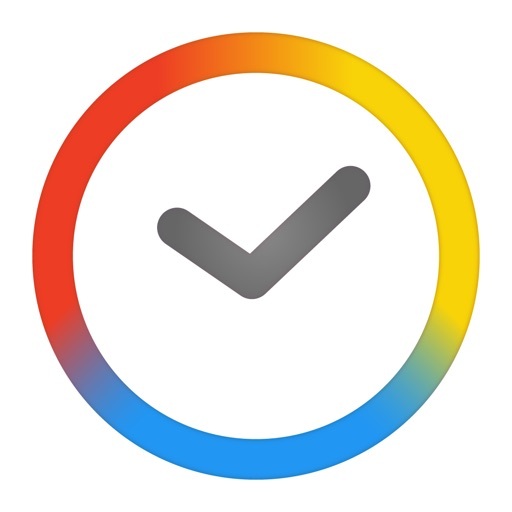 - set the right cooldown time for you. - choose between various ringtones, or even use your own music. 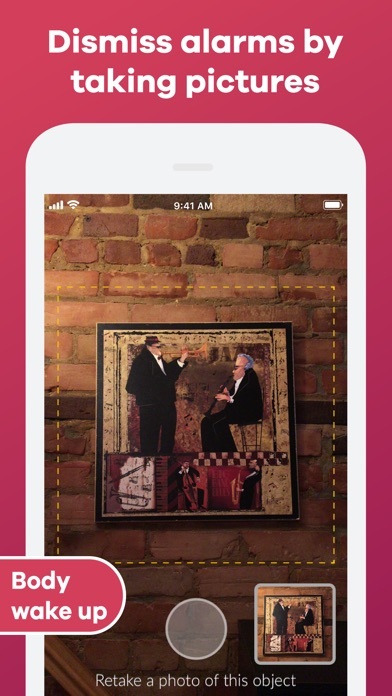 ◦ Very precise image recognition : easily knows if you took a picture of the right object. ◦ Sleep sounds: a selection of natural sounds to help you fall asleep. STILL READING ? NOT CONVINCED ? *This app works best with iPhone 5 and later models.